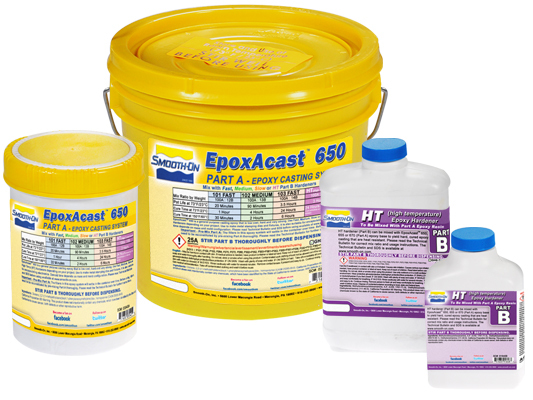 EpoxAcast™ 650 + HT Hardener Product Information | Smooth-On, Inc.
EpoxAcast™ 650 is a mineral filled general purpose casting epoxy that is low cost and versatile. 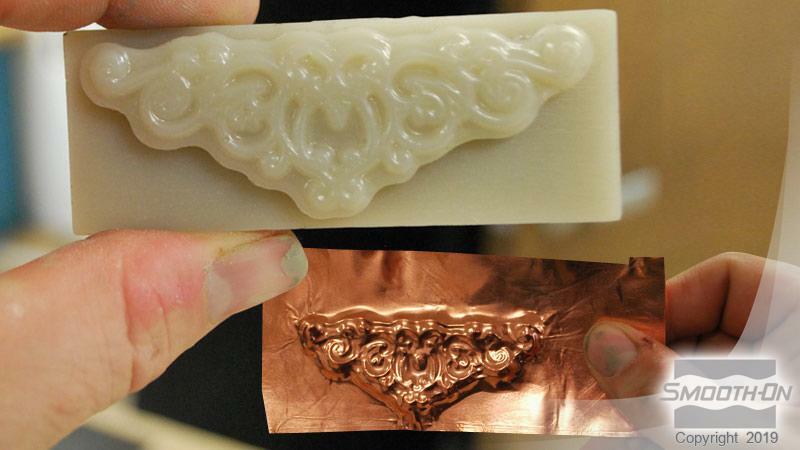 It features a low mixed viscosity for minimal bubble entrapment.EpoxAcast™ 650 is used for making hard dies for metal stamping as well as patterns and fixtures. It is also used for electrical encapsulation to extend the life cycles and enhance the performance of potted electronic devices. 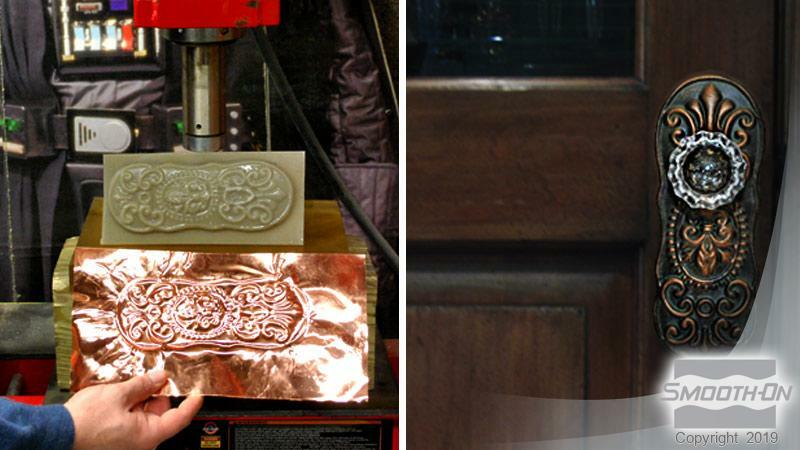 The high compressive strength of EpoxAcast™ 650 makes it ideal for making stamping dies for production pressing of metal ornaments. Measuring / Dispensing – The proper mixing ratio is 100 Parts of EpoxAcast™ 650 resin to 10 Parts hardener by weight. You must use an accurate scale (gram scale or triple beam balance scale) to weigh these components properly. Do not attempt to measure components by volume. Adding Fillers - A variety of dry fillers can be added. 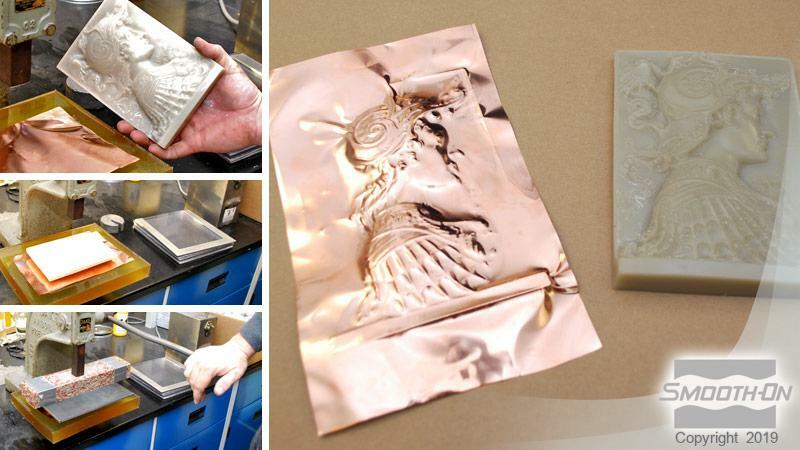 Pre-mix dry filler with Part A before adding Part B. Pouring – If casting EpoxAcast™ 650 into a rubber mold, pour mixture in a single spot at the lowest point of the mold. Let the mixture seek its level. A uniform flow will help minimize entrapped air. If making vacuum forming molds, it is best to use piano wire (15/1000 inch gauge) to make vacuum holes.